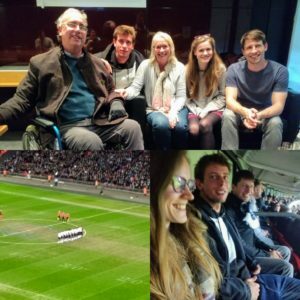 Our applicant Anton recently went to watch Tottenham Hotspur FC play at Wembley with his family,and had use of a hospitality box. His wife said “We had a lovely time but both of us are completely exhausted, and I was very relieved not to have to drive back! Anton really enjoyed it (as did we all) and it was the first time we had been to Wembley so a great experience, despite the disappointing but probably not unexpected result.